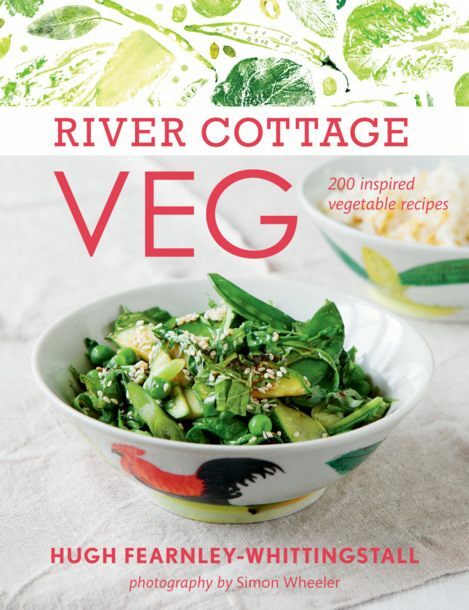 Lucid Food isn’t strictly vegan like the four cookbooks reviewed earlier this week. Its focus is on sourcing food more ecologically and conscientiously. This makes it an excellent resource for omnivores bothered by factory farming practices and their impact—square with the slow food, clean eating, sustainable agriculture, and locavore movements. I did find Lucid Food to be decidedly vegetable-focused and the many creative vegan recipes included are full of exquisite flavors. 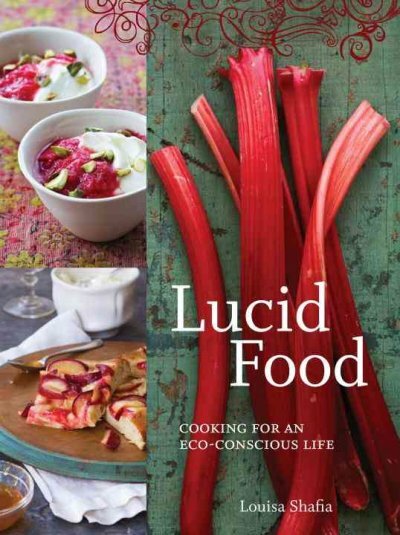 Author and catering chef Louisa Shafia really backs up in her life what she writes about in this cookbook by the way she does business; her catering company is also called Lucid Food and practices an innovative waste-free approach. Shafia suggests ways to choose fish and seafood more thoughtfully. I learned that the farming of mussels actually inspires cleaner coastal marine stewardship without the use of antibiotics and chemicals, about wild-caught species that are caught using methods that don’t kill unwanted animals in the process, and other safer choices for the eco-conscious eater. We can consume less by using seasonings to add briny flavors associated with fish dishes to tofu, tempeh, beans, and other proteins, still satisfying taste buds without adding to the imminent crisis predicted—that worldwide fish and seafood populations may disappear before mid-century. This is a beautiful book and I can’t wait to cook more of its fine, elegant recipes that are a fusion of tastes and cultural traditions. 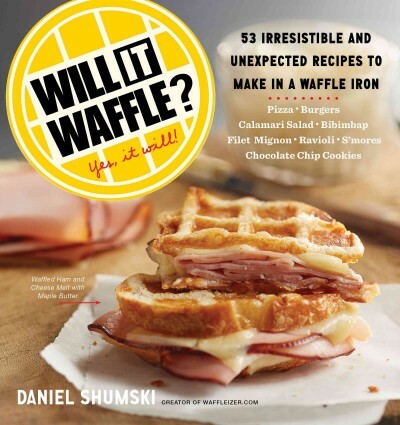 Check the WRL catalog for Lucid Food and Louisa Shafia’s latest cookbook The New Persian Kitchen. Vegan and locavore enthusiast Jae Steele aims to educate us about food’s origins—that is, how far it might have traveled to reach your local grocery market. She wants to equip us with the know-how to minimize our impact on the planet and its inhabitants when shopping for plant-based food locally. First, and foremost, she clearly values and encourages the infusion of fun and joy into your lifestyle, wherever you live. 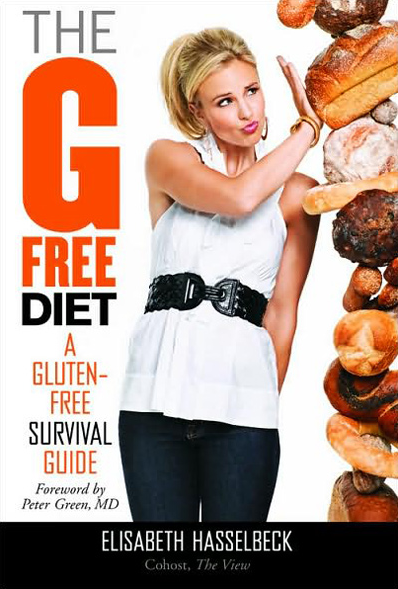 In her book, I finally met a vegan who acknowledges that there are eaters who just don’t like each and every vegetable—no force feeding here! You’ve only gotta eat foods you like. It’s not enjoyable if you’re feeling shamed or guilted into it, so let’s focus on doing the best we can—and doing it joyfully. 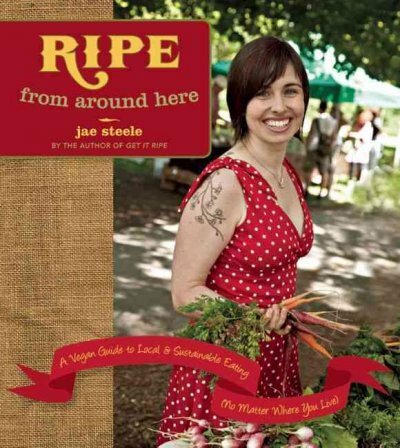 Packed with useful information, Jae becomes an irresistible friend motivating you to thoughtfully plan weekly meals and seasonal produce shopping, and she makes it all so fun! Learn how to explore a variety of veggies and fruits seasonally. You already knew that folks are asking questions at the farmer’s market, but if you’re feeling tongue-tied, Jae will arm you with the knowledge to get out there and get to know your food and the farmers who grow it more intimately. She includes great details for creating an indoor composting system using red wriggler worms, which I seriously might try, because I’m not quite ready to garden beyond my deck and in pots, let alone start tilling the yard. Recipes are supplemented with fact-filled charts on individual plants’ versatile uses and health benefits. Woven into Jae’s very clear instructions are tips that most cookbook authors fail to provide such as a thoughtful hint to zest the lemon before you slice into it for juicing—I tried to get the zest from an already-squeezed lemon once and have the scars to prove it! Check the WRL catalog for Ripe from Around Here. Here, in the middle of the week, I’d like to address you middle-of-the-roaders about a book that ensures that veganism is not only for celebrities, that you mustn’t wait until you’re making big bucks to take the vegan plunge. Victoria Moran gently instructs in the ways of being vegan, without judgment, without scolding those who claim to be vegans who eat fish (you either are or you aren’t a person who doesn’t eat animals), with only a subtle amount of coercion through the storytelling she feels obligated to impart, as a witness to the deaths of animals at slaughter and the horrific conditions of the dairy, poultry, pork, and other animal product industries. Some may have heard it all before—a lot of shocking videos circulate the internet—but for those of you who’ve been oblivious to this media outrage, her essays may cause you to pause before you order that next chicken sandwich. Even if you’re already convinced that vegan is best, you feel handicapped by the outrageous price difference between organic, locally grown produce at the trendy farmers’ markets and the genetically modified, pesticide-coated, homogenous assortment in your supermarket and discount store grocery aisles! What to do??? Forty brief chapters with facts, personal stories, and guidelines introducing you to vegan concepts and cooking techniques each conclude with a recipe. It’s meant to make plant-based cuisine possible for every kind of eater with any kind of income, not just the elite many of us believe are the only folks who can actually afford to live a vegan, organic, eco-conscious, locavore’s lifestyle. Basically, the book is for those of us who live “main street” lives, not “Fifth Avenue” existences. Moran addresses the fact that wherever you are with these goals, it’s okay; you don’t have to do everything perfectly from the beginning. Our heartstrings are often pulled by myriad causes. She nudges us in the most compassionate direction, and seems to want us to prioritize minimal impact on the animal world above concerns for our individual health if we truly wanna go vegan—are we okay with that? She challenges us to think about such things as we progress. But you can only do what you can do, especially if you’re raising a family, and stretching paychecks has become an acrobatic feat. For example, though we are encouraged to support the organic movement, which she says will become more affordable as demand increases (put your money where your mouth is), she’s realistic about such dilemmas as eating organic all the time being terribly more expensive. She helpfully elucidates a “dirty dozen” list of produce to avoid if not organic and a “clean 15” list of more economical fruits and vegetables you can buy without worrying over the lack of an organic label (sourced from Environmental Working Group). A very comprehensive collection of appendices provide additional resources and bibliographies for those who want to take things to the next level, from where to go online for further research to where to buy your clothes, shoes, and household cleaning supplies without harming animals. This book is worth picking up even if it’s just for the to-die-for-yet-guiltless Chocolate Mousse recipe—putting together the unexpected ingredients required a leap of faith but I was astounded by the results. 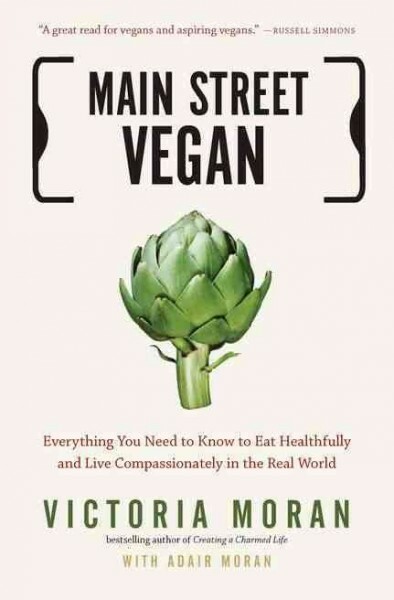 Check the WRL catalog for Main Street Vegan.